After a nine-year stint in the U.S. Army, Jesus Rivera came to Miami looking to switch gears. He found his calling via a no-cost, 10-week culinary training program at The Hospitality Institute at Miami Dade College. 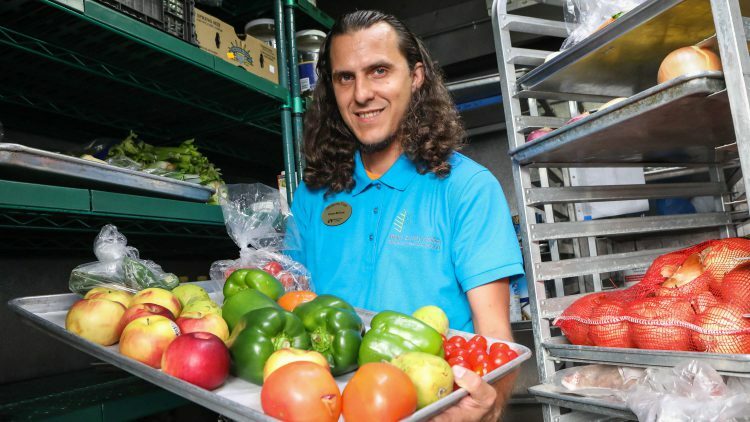 Today, Rivera works in MDC’s purchasing department, where he helps manage food inventory used at the Miami Culinary Institute and Tuyo restaurant. He also is completing his Associate in Science in Culinary Arts Management. MDC Foundation Chair Julie Grimes, who founded MDC’s Hospitality Institute, said its training programs are an important resource for South Florida’s rapidly growing hospitality, culinary and tourism industries. Since opening in 2008, The Hospitality Institute at MDC has trained nearly 4,000 job seekers through its grant-funded, programs at Wolfson and Homestead campuses, and those numbers continue to grow. In late 2017, the Hospitality Institute began training at the MDC Gibson Education Center in Coconut Grove. A new facility, the Culmer Community Resource Center in Overtown, is slated to launch in 2019. Grimes said the two new centers will help connect even more residents to job opportunities. “Our mission is to continue to change lives and restore hope by empowering people,” she said. Graduate Andrea Higgs, a guest service agent at the JW Marriott Miami, is another graduate who credits MDC for jumpstarting her career. She came to The Hospitality Institute when she found herself out of work.